Delay the Disease- Parkinson’s Disease exercise and nutrition programs. 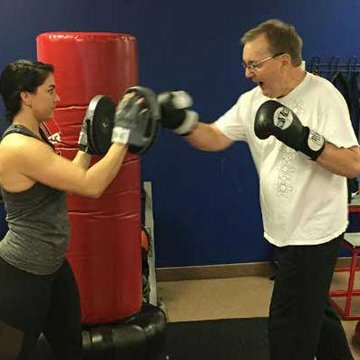 The key component to slowing down the advance of Parkinson’s disease is the right exercise program. The goal is to improve overall balance, build muscles, reduce anxiety and combat depression. Live Fit’s Delay The Disease instructor, Heidi can help you or a loved one to maintain a higher quality of life. We work with you to develop a fitness routine in a safe and controlled environment that targets your specific needs. Our registered nutritionist offers advice and help to develop a healthy nutritional plan that can aid in reducing the impact of the Parkinson's Disease symptoms. We serve Westlake and surrounding areas.